BROUWERIJ DE FENIKS CVBA, Bere, Craft beer, Stout - Oatmeal stout, pe EUROPAGES. 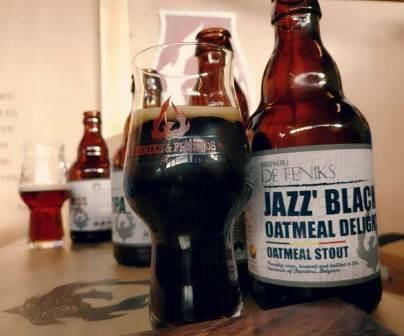 Brewery ‘De Feniks’ is a micro-brewery which was established mid 2016. With Brew masters Gino Vantieghem (Unibroue Quebec, Liefmans breweries…) and Jasper Candaele – both bio engineers – the brewery has over 30 years of international brewing experience under roof. Kurt Decoene and Angela Wang complete the team and bring a lot of international management and business experience with them. The brewery produces a standard range of 6 beers and releases at regular intervals limited and special edition brews. 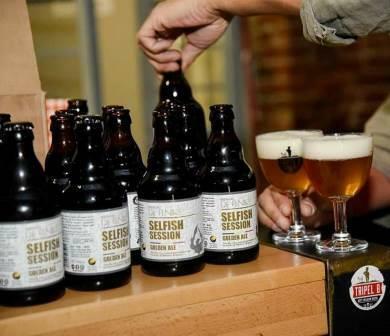 The brewery creates beers to measure for third parties (private persons, organisations, companies…) : recipes are developed in close consultation with the customer. The brewery defines itself as an open-source brewery and acts as an incubator for starting breweries and beer companies. The decade long international experience of master brewer Gino Vantieghem makes that De Feniks is familiar with a very wide range of beer styles. Gino Vantieghem received a life-time achievement award at the age of 37 out of the hands of the legendary beer writer and beerhunter Michael Jackson. The first beer he created for Unibroue : blanche de Chambly is still being produced and won no less than 34 awards and was voted best white beer in the world on several occasions. With his experience at Unibroue Gino Vantieghem was one of the sparks that lit what would later become the craft beer revolution.